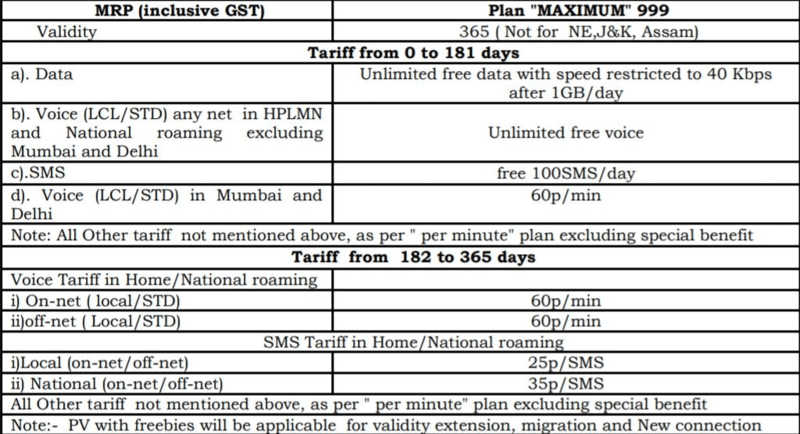 What Is BSNL Maximum Rs 999 Plan? In BSNL Maximum Plan, Users will get 1GB High speed data per day, for 181 Days, Alongwith Free Calls. After usage of Daily 1GB quota, Speed will be reduced to 40kbps. Also, Calls will be free in this duration You can use 100 Free SMS per day. But, Voice calls (Local/National) in Mumbai & Delhi will be chargeable as 60p/Min. No Roaming charges will be applicable.